Big News, We Are Florida Bound! 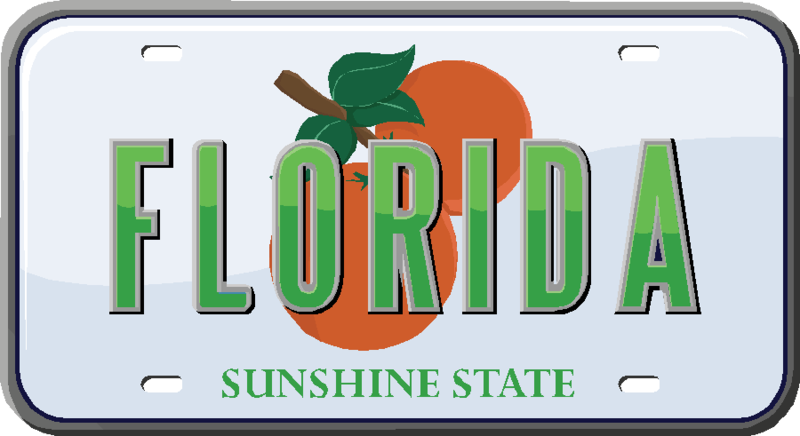 We’re excited to announce that we are moving to Florida in about a month. Mark put in for a transfer with his work and surprise, surprise, he got it. So why the change of locale? We are wimps. I’m the one who loved 4 seasons and snow. And I really DID love it, until we moved into a camper that is. Good friends. We have some amazing friends in Fort Walton Beach and we are looking forward to living near them. The food. Umm…not really but I AM looking forward to getting to dining on some better Mexican food and all the good restaurants down there. The beach. I’m looking forward to living near the beach and soaking up some natural Vitamin D.
The adventure. Really it’s not so much the adventure as it is just wanting to see where the Good Lord leads us. We are being led to Florida. Whether it’s the Lord or just us? We aren’t sure but we’re going with it. I’ve never been to Florida, ever. This has caused a few raised eyebrows. Okay, look. We live in a camper with 4 children. We’re not your typical family. 🙂 I’m okay with moving somewhere I’ve never been. I may be somewhat imbalanced, but I’m excited about the possibilities. We do realize that there are hurricanes, alligators, and sink holes. We also know it is humid there. But really the worst thing about the move, is our amazing friends here in Rapid City. They are like family and we’re sad to be saying goodbye to them. We have a few weeks left with them and we are going to relish every moment. In looking ahead to Florida, what are some things we should be looking forward to? God’s abundant blessings in the transition!! Thank you Christa! You all can come down and see us anytime! Thank you! That would be so fun! !